I’m thankful for each and everyone one of you. pls weezy i love u so much” i meen u are my souce of hope in life straglings mannnn……. WAYNE I WOULD BE THANKFUL IF YOU OR LAUREN WOULD RELEASE A PIC OF YALL SON KAMRON. LOL SERIOUSLY I BET HE’S THE CUTEST THING EVER WHY WONT L.BOOGIE LET US SEE HIM ?? You kept me company while I cooked dinner for the fam. I am thankful for you too Wayne! ah man just live ur lyf & remember only care abt those close 2 ya(eg ur children) & ur weed & ur syrup.hopd the show in South Africa will be tha bomb!!!!!!!!!!!!!!!!!!!!!!!!!!!!!!!!!! !.oh almost forgot & ur family & frenz. Weezy im very thankfull for the songs youve made, man your stuff is deep and it helps in hard moments whos life is givin’ Stay tuned! Tunechi.. I love you so much! Your music is just amazing and it makes my day. It would make me sooo happy if you could come to Norway anytime soon <3 You're the best. not as thankful as i am/we are for you my love. A man who truely love and support/gives to his fans. Who dont care what haters say, but just pleases the fans. Lil Wayne. such a big part of your music have been played in allmost all situations thrue the last years, have your music saved me from being sad, down, depressing. in love, high, etc. could write a entire page- showing love. 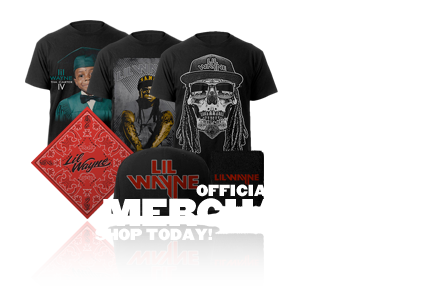 Lil Wayne – Simply the BEST! You ARE Music! <3<3 idigg! It would be nice to find out which of the pages for Lil Wayne on the internet are REAL….I have been told so many times by someone claiming to be “Lil Wayne” that he would do a benefit concert for the Crohns Foundation…I am begining to think they are all FAKE…. Found myself thinking about you a few days ago. No Music requiored. You just popped into my head. I hope your doin ok, and feeling nurtured in evry way that you need. Weezy,if you be reading this I just would like to say,I love everyone of your songs. I would love to be a rapper like you,but you see my problem is writing a song. I know I could do it if I could write it and get the Rhymes right. Weezy, just wanted to say I love you very much, and even not knowing you personally, you are one of the most important people in my life. I know all about you and not get tired to keep up his incredible career. Remain that perfect person you are. Even though I am here in Brazil, do everything to follow you, I’m waiting to show you see here in Brazil! I love you very, very much! Keep on chat love u ol!!!!!! you are so handsome guys!!!!!! !and you weezy,you are my idol!!!!!! I LOVE YOU!!!!!!! Man, keep doing what you do and don’t let nobody stop you. 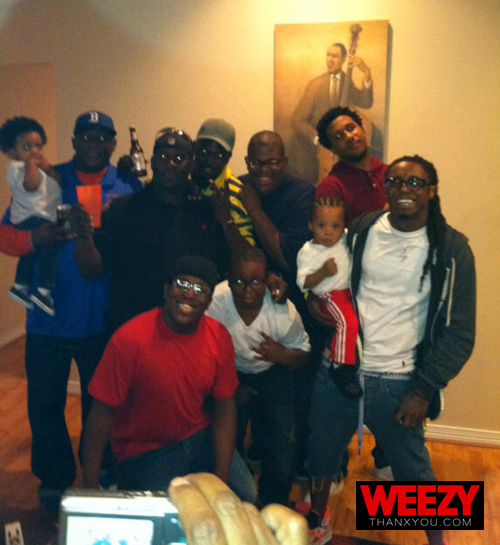 im the next weezy !! !